Modern warehouse accumulates significant financial resources in the inventory and staff, so it is important to reduce the storage costs by optimizing business processes to achieve a significant financial effect. Robotization of logistics is just starting to develop in Russia. 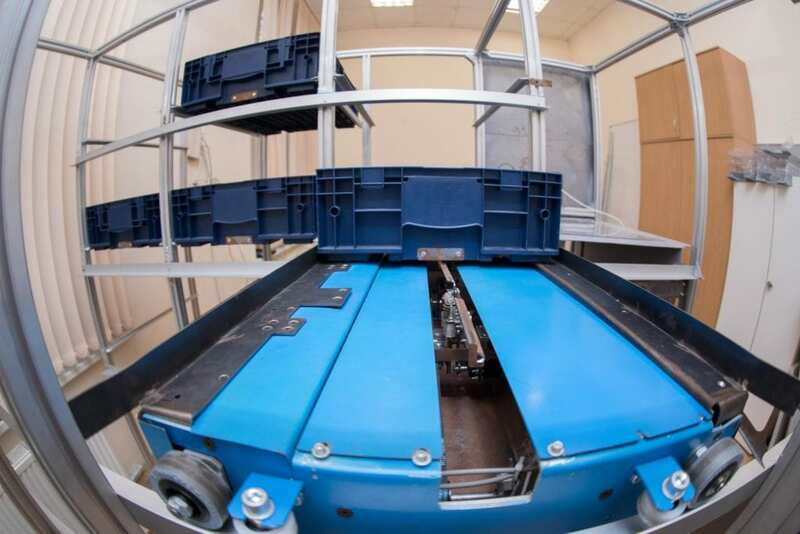 Specialists of the Teleitems company, resident of the Center for Scientific and Technical Creativity of Youth at Peter the Great St. Petersburg Polytechnic University (SPbPU) developed a new robotic complex: the storage robot can reach 4-6 meters height. The robot is able to turn, so the goods can be stored on both left and right sides. Thus, it is possible to increase the number of stored goods while maintaining the original space. In addition, the speed of the automated platform is several times higher than the manual search. Young scientists also developed the software and the interface for this robotic complex. "We have created a single modular platform that can be used for both small robotic stores and large warehouses," explains CEO of the company Pavel Smolnikov. The project was presented at the main startup conference "SPb Startup Day" in St. Petersburg (Russia), it won two awards "B2B startup for large companies" from "Gazprom Neft" PJSC and "Startup for retail" from X5 Retail Group. Currently developers are working to integrate their solutions into the work of corporations in order to optimize their logistics processes and ultimately reduce financial costs.